America is a strange place these days. And in one particular area, we are surely suffering. There was a time in this country when things were built to last, with a real sense of quality, craftsmanship and attention to detail. But we’ve slowly migrated away from that concept – to the point where most of our goods are imported and much of our “Made in the U.S.A.” spirit is completely lost. But there is a small movement that’s catching fire among young and old craftsmen alike, all over the states. One that is at the very foundation of this here country. Handmade. Quality. Built on the backs of hardworking people leaching blood, sweat and tears. And most of all, made right here in America. More and more American companies and small businesses are popping up with Made in the U.S.A. tags attached to their products. It’s refreshing to say the least and makes me believe we still have a fighting chance at salvaging this sinking ship. 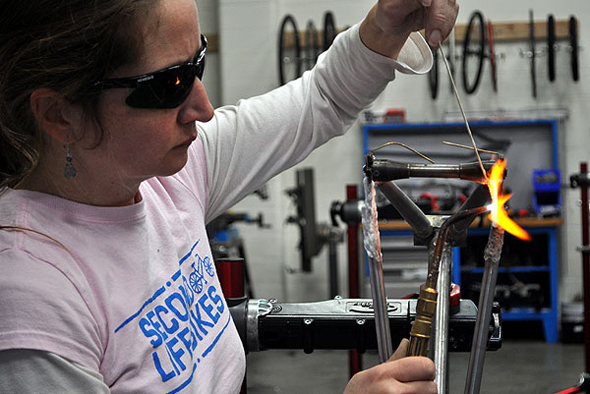 One local business owner, Kerri Martin of Second Life Bikes on Main Street in Asbury, is bringing some of that handmade, D.I.Y., American ingenuity to her shop. She recently headed west to Portland, Oregon, by train nonetheless, to take part in a bicycle frame building course at the United Bicycle Institute. UBI is one of the only places in the country where you can learn such an art. Martin spent two weeks in Portland learning about the growing niche of custom bicycles and frames. “People want a bike they can’t buy off the shelf, ” says Martin. In other words, they want something better than just settling for mass production. Sure, you’re going to pay more for anything that’s one off, but you’re getting more in return. But it was Martin’s choice of travel that intrigued me the most. 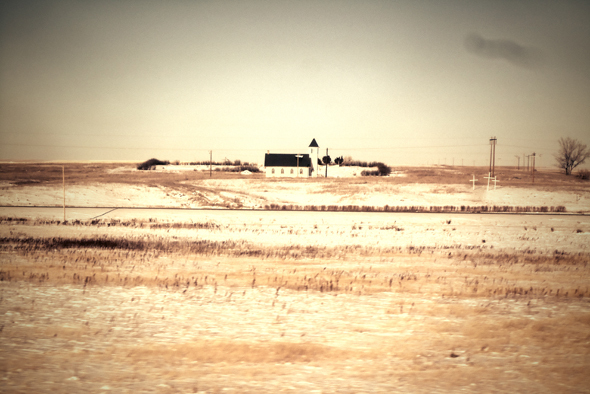 A train trip across the good ol’ U.S of A. is as American as it gets. Especially when the end result is learning a new craft that will improve business and better the local surroundings. Martin eventually plans on passing her new found skills along to those eager to learn them. Much of Second Life Bikes revolves around Asbury’s youth so they stand to gain more than anyone when all is said and done. When asked about her journey by rail Martin replied, “It was total freedom. 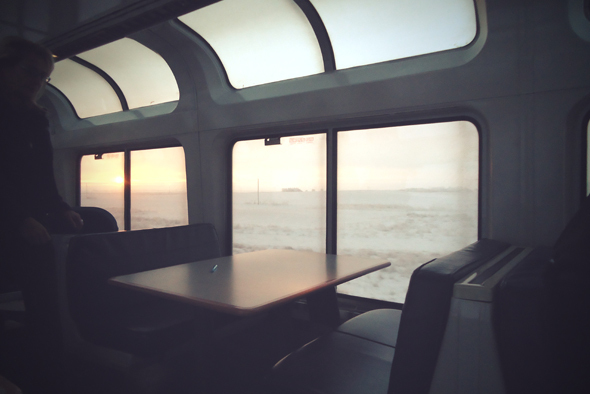 There was nothing else to do but read books, knit and stare out the windows.” She hopped aboard in Chicago and passed through states like North Dakota and Montana with vast, wide open and beautiful landscapes. The view of America from a train seat heading west. The best part of the trip however was the people. Lots and lots of characters of all stripes. “Most of the people on the train were traveling (by rail) because they wanted to.” Not because they were in a rush to get somewhere. It was about the journey, not the destination. You can bet lots of interesting stories were exchanged. But the trip was ultimately about bikes. Martin learned all about frame geometry, angles, tubes, different metals and brazing, a similar process to welding. 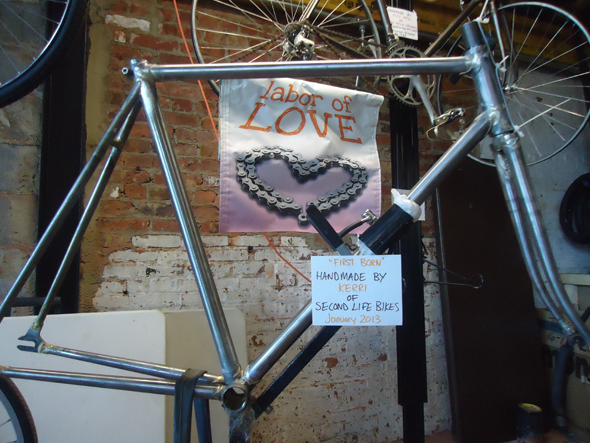 At the end of the 2 weeks, she had her own custom built track bike frame (no brake mounts, stiffer frame) to show for it which now hangs in her shop. She still has some filing to do on the welds. Martin also plans to keep the bike bare metal, no paint. 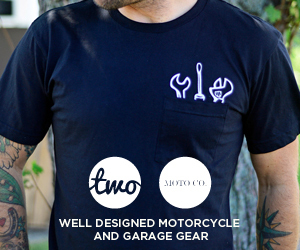 “I want people to see the hand-built-ness of it, ” says Martin. Martin’s ultimate plan is to race the bike with Garden State Velodrome at Wall Stadium’s new velodrome track this March (a velodrome is a cycle-racing track, typically with steeply banked curves). Garden State Velodrome currently occupies the track in Wall but is looking for their own property where they can build a proper velodrome. Check out gsvelodrome.com. Also in Martin’s plans are a fleet of race bikes built by her that can be used in competition. Kerri Martin’s hand-built track bike frame. For more information on Kerri Martin and Second Life bikes, click here. This entry was posted on Thursday, February 7th, 2013 at 1:24 pm. It is filed under FEATURE. You can follow any responses to this entry through the RSS 2.0 feed. Great post! I’m so glad Kerri is doing this here. Jersey definitely needs more bikes in so many forms. We hope to be traveling across country by train too sometime next year. It’s nice to read about others traveling by train too.